16,427 square feet lot is located at the hard corner-traffic light intersection where thousand cars passing by daily * Zoned for mixed use * Walking distance to the huge residential/commercial project which is undergoing at the corner of Brookhurst/Garden Grove Blvd. * There are several potential mixed use projects going up along the Garden Grove Blvd. 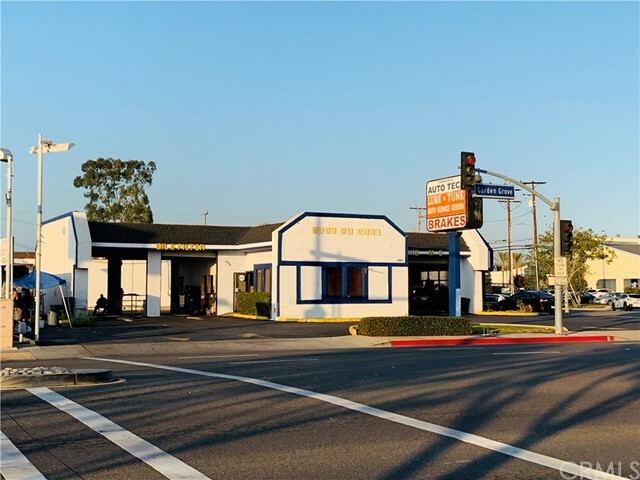 * Existing building and garage are perfect for a new owner-user doing auto repair business * Convenient location to freeways 5, 22 and 405 * Great investment/development opportunity!